The director of “The French Connection,” “The Exorcist,” “Sorcerer,” “Cruising,” “To Live and Die in L.A.,” “Bug,” and “Killer Joe,” to name just a few, William Friedkin is one of the greats to emerge from the 1970s brat pack director’s scene that included Martin Scorsese, Francis Ford Coppola, Peter Bogdanovich, and more. Now 80-years-old, the mythic filmmaker recently sat down with podcaster Marc Maron for an epic two-and-a-half-hour chat on his “WTF” podcast. It’s also interesting to hear an 80-year-old cinephile — who is old enough to remember the advent of the television and to have witnessed culture and taste change over decades — who does not lament the decay of the theatrical experience and champions digital VFX. Friedkin at one point says Netflix and streaming outlets are a boon to cinema. “Things change, you watch [the world change] and manifest differently, but I’ve absolutely [made peace with that].” Friedkin says, countering Maron’s comment that it’s a shame that audiences today don’t know Orson Welles, Fellini, Billy Wilder, and many of the masters. The best story of the bunch perhaps is Friedkin’s connection to “The Exorcist” screenwriter William Peter Blatty. It’s an involved tale, but an incredibly amusing one that starts with Friedkin coming to meet the legendary director/writer Blake Edwards (“Breakfast At Tiffany’s,” “The Pink Panther”) in the nascent beginnings of his career. 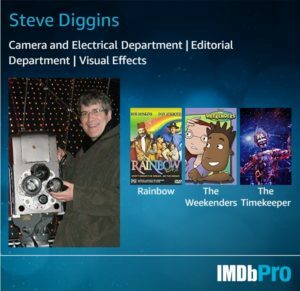 Edwards was producing a feature version of the successful “Peter Gunn” TV show and wanted the up-and-coming director to helm the big-screen update. Friedkin read the draft before meeting with Edwards and hated it. As Friedkin was leaving the lot from his meeting, a man began chasing after him and calling his name. It was William Peter Blatty, the screenwriter of “Peter Gunn,” who, at the behest of Blake, was sitting in the shadows listening to the conversation. Friedkin said that Blatty thanked him for his candor (“You’re right. We all know the script doesn’t work”) and said that everyone on Blake’s team knew the screenplay was garbage, but the iconoclastic producer and filmmaker was convinced that his vision for the movie was perfect. Three or four years later, Friedkin came across a screenplay that he loved called “The Exorcist,” by one William Peter Blatty. “It totally zombied me out. I canceled dinner, read it in one sitting,” the director said of his reaction. “The French Connection” had yet to come out, and when he met with Blatty, the screenwriter offered the film to him immediately. Friedkin was baffled as to why. Blatty responded, “Because you’re the only director I’ve met who didn’t lie to me.” The one snag was the studio wanted to take it to bigger names, but Stanley Kubrick, Arthur Penn, and Mike Nichols all passed. 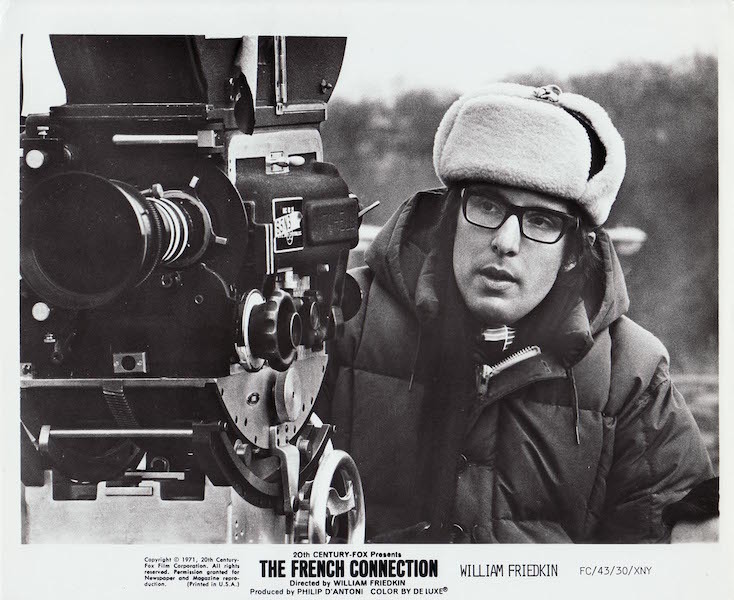 By the time the directing assignment opened up again, “The French Connection” had opened, was a smash, and Friedkin easily secured the gig. Another interesting tale spun by Friedkin is the duress that “The French Connection” was made under. “ ‘I’m gonna be fired in six months,’ ” then-head of production at Fox, Richard D. Zanuck, warned Friedkin (true to his word, he was). Zanuck gave Friedkin a small $3 million budget, but the clock was ticking. If the film wasn’t in production by the time Zanuck was out, the next regime would probably pull the plug. From The Playlist over at Indiewire.